I've been lusting after a record player for some time, so recently I finally took the plunge and bought one. 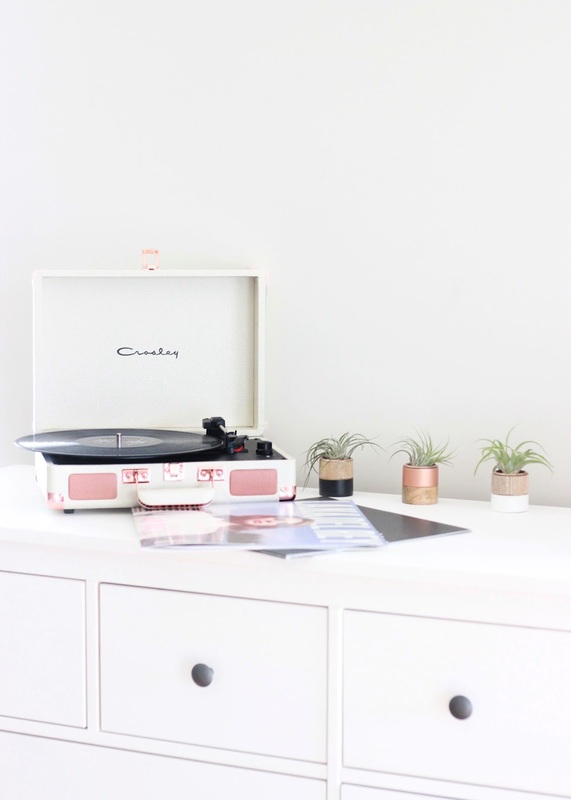 This rose gold Crosley Cruiser Record Player was the one I opted for as I didn't want anything too expensive and well - because It's rose gold. Luckily I don't have any collectable vinyls as I heard that this offering isn't the greatest of designs. But for me, it is easy to use and exactly what I was after. Despite me being apprehensive, I think the built in stereo speakers are good quality and give off just the right sound for such a small record player. I bought two LP's straight away; Lana Del Rey and Arctic Monkeys, and I instantly fell in love with their albums all over again in vinyl form. For a record player beginner like myself the Crosley is perfect. With a portable design, easy to use manual return arm and an ability to play all of my favourite tunes, I'm sure this will carry me through many years of music. What do you think of the Crosley Record Players?